Asbestos is essentially a group of minerals that has thin microscopic fibres. Since these fibres are heat, fire & chemical-resistant & do not conduct any electricity, it has been mined & used widely in a range of industries including construction. It is now known that asbestos causes mesothelioma cancer, and is banned in excess of 50 countries including Australia & its use has also been dramatically restricted in many others. 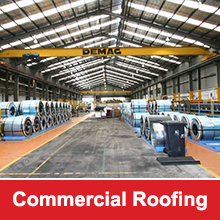 Though asbestos is no longer used in Australia, it continues to exist in older installations and structures. But this material is hazardous to the health, and the Australian government has set certain stringent guidelines about asbestos management, transport, storage & disposal. 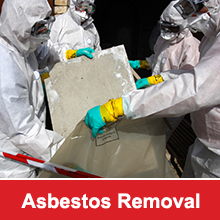 Business owners are required to follow certain norms with reference to asbestos handling and disposal. The purpose is to ensure that individuals at a workplace, including common areas of any strata title-body corporate, aren’t exposed to any airborne asbestos fibres. In areas where the risk of exposure can’t be entirely eliminated, the risk of exposure has to be minimised as far as reasonably practicable. It has been proved that inhalation of asbestos fibres causes asbestosis, pleural thickening & potentially fatal mesothelioma. All these aspects become important in view of the fact that employees and other workers work on the property on a regular/ daily basis. In case the norms are not followed, and an individual in that workplace develops mesothelioma or asbestosis, the business owner is liable to pay a very hefty fine (that runs into thousands of dollars). Individual business owners as well as strata title-bodies are liable to pay fines in situations such as this. In the event that a business owner fails to comply with the existing guidelines and an employee suffers a serious illness/injury/death, the former will have to pay even heavier fines and/or a jail sentence. These are only the statutory penalties. In case there is a civil litigation, the penalties will be far higher. In addition to all of this, it is important for business owners to ensure that workplace safety is maintained, not just for their employees and workers, but for their customers and clients too. Since customers visit a commercial space only on occasion, their exposure to asbestos in that space is not generally as impacting as it is to someone who works there. However, ensuring that a place of business is safe and healthy for customers and clients is one of the basic requirements of running any commercial enterprise. With all these factors in mind, it is important that business-owner engage a company that is certified to conduct an asbestos survey on the property.